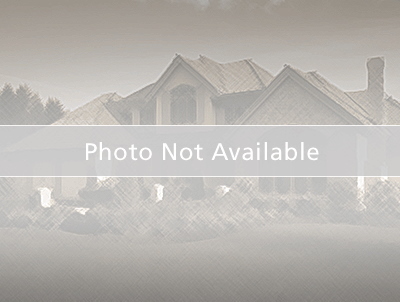 Sawgrass - 4 Bedroom, 3 Bath POOL Home with No Rear Neighbors! New Roof in 2018! This Elegant Home Boasts An Open Floor Plan with Vaulted Ceilings, Tile & Wood Flooring Throughout with Carpet in Bedrooms; Formal Dining Rm, Formal Den/Office, Kitchen with Dinette Overlooking Great Rm, Split Bedroom Plan with Master Suite, 3 Add’l Bedrooms with 2 Guest Baths, Indoor Laundry Room & 2-Car Garage. Outdoor Oasis Offers a Private Wooded View with Golf Course behind, Screen Enclosed Lanai & Solar Heated Pool, Landscaped, Pet-Friendly Fenced Yard. Screened Front Entry. Dining Rm & Den/Office with French Doors for Privacy, High Ceilings & Wood Flooring. Great Rm with Vaulted Ceiling, Wood Flooring & Large Sliders to the Lania. Spacious Kitchen Features All Stainless Appliances, Vaulted Ceiling with Recessed Lighting, Breakfast Bar, Pantry & Dinette. Gorgeous Master Suite with French Private Access to Lanai, Designer Built-Out Closet, Corner Garden Tub, Walk-In Shower & Water Closet. 3 Generous Sized Guest Bedrooms Feature Decorative Tray Ceilings. Add’l Features Incl. Metal Hurricane Shutters, AC with Whole House Water Filtration, AC with Aprilaire Air Purifier, New Pool Pump, Add’l Solar Cover, Safety Fence & Auto Cleaner, Indoor Storage, Security System, 2-Car Garage Ducted for Optional A/C Cooling & More! Sawgrass is a Beautiful Neighborhood with Low HOA, Conveniently Located to Schools, Shopping & Restaurants; Easy Access to Major Roadways incl.FL Turnpike. Ready for Immediate Occupancy! From 13th/192 turn onto Vermont Ave, continue down turn Left onto Pine Tree Dr, turn Left onto Bayview Ln, then Left onto Countryside View Dr and the property is on the Right.